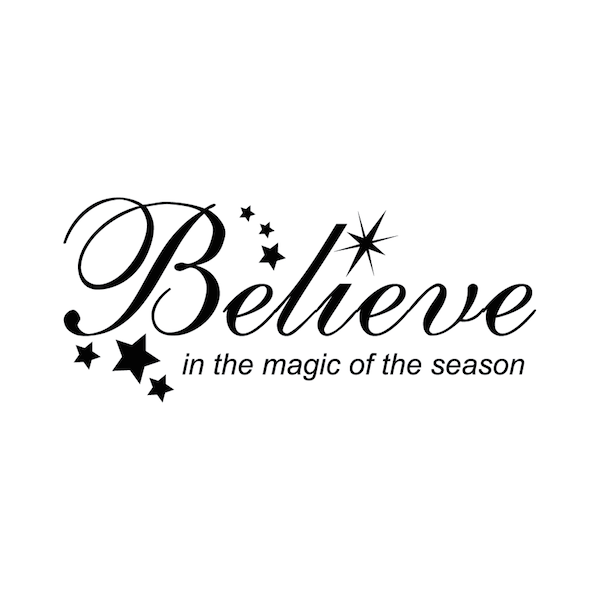 Get in the spirit of the holidays with Believe Holiday Wall Quote. This makes a perfect design for your home or office! To really spice this up mix and match it with some sparkly stars or snow flakes. Sizes are measured for the whole quote assembled as shown. Decal designs are exemplary for windows and nearly any flat, smooth surface. All of our vinyl is made from 100% interior safe, removable vinyl that appears painted right on the walls! Perfect for permanent or temporary decorating! 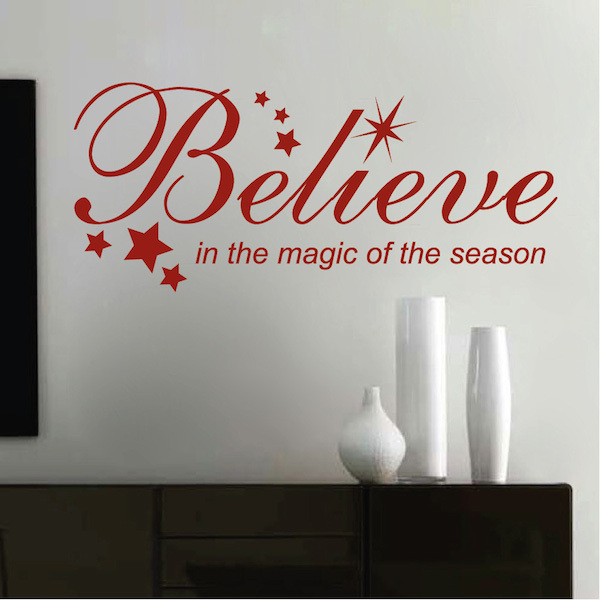 All wall decals are available in multiple sizes and over 40 different colors! Design sizes within a close approximation.